Don Larson Chevrolet Buick GMC is a Baraboo Buick, Chevrolet, GMC, Cadillac dealer and a new car and used car Baraboo WI Buick, Chevrolet, GMC, Cadillac dealership. Terms and limitations apply. See onstar.com or dealer for details. Subject to terms. See onstar.com or dealer for details. While every effort is made to assure this information to be accurate, variations in the manufacturing process, dealer installed accessories and mileage figures may cause this window sticker display to vary from that on the vehicle. Check with your dealer for complete information. * Manufacturer's Suggested Retail Price. Tax, title, license, dealer fees and optional equipment extra. 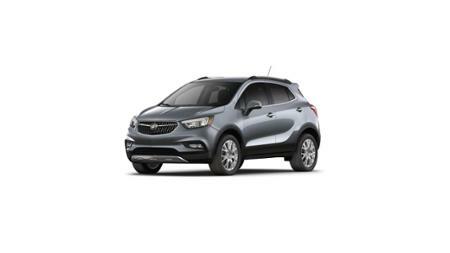 **The features and options listed are for a New 2019 Buick Encore Sport Touring AWD and may not apply to this specific vehicle.